Is EnergyRM’s Metered Energy Efficiency Transaction Structure A Game Changer? At EDF we are always on the lookout for innovative clean energy financing models, especially those that complement On-Bill Repayment (admittedly, one of our favorites). When we heard about EnergyRM’s recent financing approach – which uses a combination of an Energy Service Agreement (ESA), innovative measurement and verification (M&V) and utility bill repayment – we had to find out more. 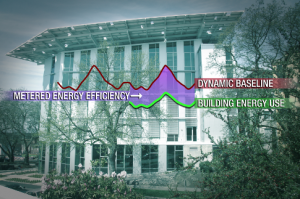 EnergyRM’s Metered Energy Efficiency Transaction Structure (MEETS) went live on the Bullitt Foundation headquarters building last month. The promise of MEETS, developed by Rob Harmon’s EnergyRM, was quickly all over the news, including the New York Times. Quick Factoid: The name Rob Harmon may be familiar to energy enthusiasts – he pioneered the Renewable Energy Credit (REC) 15 years ago. The REC served to catalyze the renewables industry. Harmon hopes his newest innovation will do the same for the efficiency market. MEETS relies on EnergyRM’s DeltaMeter, a proprietary energy modeling software, to report energy savings in real time. The DeltaMeter seeks to address a perennial Achilles heel of many energy efficiency transactions: measurement and verification of energy savings. EDF is addressing this same problem head-on by working with stakeholders to establish protocols and standards for efficiency projects through the Investor Confidence Project. This complex problem, which has traditionally been part science and part art, has been impervious to a silver bullet solution. Lots of interested folks are itching to take a look inside the DeltaMeter black box and see how EnergyRM plans to solve it. The real innovation, though, may be the MEETS deal structure. It incorporates some key aspects of a Power Purchase Agreement (PPA), an ESA and OBR. Like OBR, MEETS enables third-party investors to provide the financing for an efficiency retrofit. 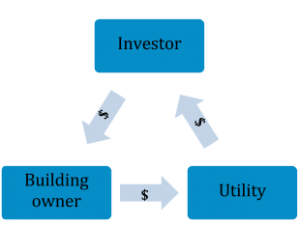 With MEETS, the investor pays a monthly fee to the building owner for the opportunity to install the efficiency measure in the building (just as a wind farm investor pays a rental fee to ranchers for use of their land). M&V provides reports on baseline energy use (or, rather, “what would have been used” without the efficiency retrofits), current energy use (with retrofits) and the associated energy savings. As you can guess, the complexity lies in reporting “what would have been” without the retrofits, and getting all parties to agree on it. In the MEETS’ pilot in Seattle, the investor signed a 20-year PPA with Seattle City Light for all of the electricity savings produced by the efficiency measure. The utility checks the DeltaMeter to determine the level of energy savings and pays the investor a price for each “negawatt-hour” produced (or energy generation avoided). This gives investors a time horizon long enough to finance deep retrofits, but also leaves them bearing the performance risk of the retrofit (that is, if the efficiency savings don’t materialize, the investor doesn’t get paid). The utility company gets the added benefit of being able to sell those electrons that would otherwise have been used to someone else without having to build new capacity from an energy source such as a power plant. 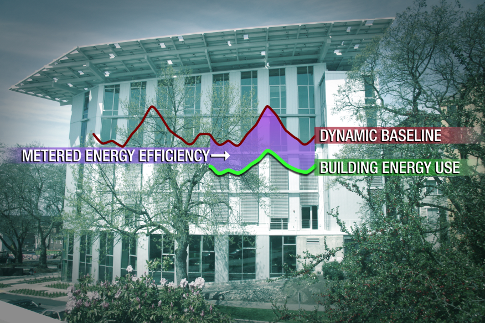 While the investor reaps the rewards from energy savings, what happens to the building owner? Similar to an ESA, they continue to pay for baseline energy use. However, where MEETS differs from an ESA is that the customer pays the utility company, rather than a contractor or Energy Service Company (ESCO) – meaning the utility will see no drop in revenue due to efficiency upgrades. This has been a thorn in the side for utilities in traditional, non-decoupled energy markets, as increased efficiency, and therefore decreased energy use, historically meant decreased revenue. Is this model going to change things? MEETS’ ultimate success is likely a function of two variables: The attractiveness of contract terms (in particular, the PPA price that utilities are willing to pay) and whether or not investors are willing to assume performance risk. That said, the launch of MEETS represents another bright point in the future of energy efficiency. The DeltaMeter could represent a technical leap forward, and MEETS is another welcome contributor to the growing energy efficiency finance market. If MEETS does take off, perhaps utility companies will no longer have to worry about efficiency measures eroding their top and bottom lines. Investors can engage in deep energy retrofits and still be rewarded through the extended time horizon of long-term PPAs. If nothing else, the launch of MEETS is an indication that energy efficiency is here to stay, and is growing fast. This entry was posted in Energy Efficiency, Grid Modernization, On-bill repayment. Bookmark the permalink. Both comments and trackbacks are currently closed. Really interesting. A lot to get one’s head around. That’s probably not a switch that simply gets thrown. Maybe define the critical path we need to follow to accomplishing such agreement? 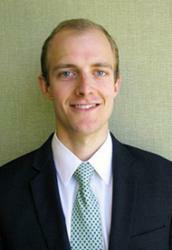 At EDF, Scott is focused on creating markets to finance energy efficiency and clean distributed generation projects. Currently he is working in California and Ohio to promote statewide On-Bill Repayment (OBR) programs that enable third party capital financing.